This guest post is by Shauna C. Bryce, Esq, author of How to Get a Legal Job: A Guide for New Attorneys and Law School Students. 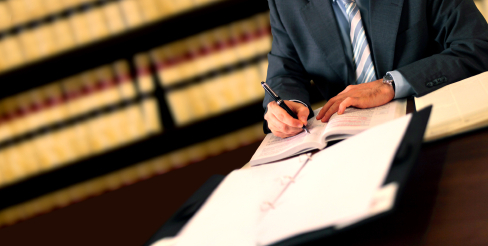 There are some things you should know about lawyers. For the most part, we’re suspicious (both by nature and by training), detail-oriented, and risk-averse. That means law firms and legal departments tend to be conservative work environments. That’s the audience of your legal résumé. Knowing your audience is important because résumés are essentially marketing documents designed to get an employer to call you in for an interview, so targeting your résumé toward a specific type of employer and a specific types of job increases the chance your résumé will be successful in its goal. What makes an employer want to call you? Well, the employer has a specific need that he’s looking to fill. That need has a technical, “hard skill” component (for example, ability to speak fluent French), but also a “soft skill” component (for example, ability to work well in a team). Further, the employer is also looking to see that you understand his industry, business model, and corporate culture. Certainly you know that your résumé needs to demonstrate both your hard and soft skills. But whether you’re aware of it or not, your résumé is also demonstrating to the employer your understanding (or lack thereof) of his industry, business model, and corporate culture.